There's nothing quite like the way Waukesha glows during the holiday season. It's that season again, the season of putting up the tree, buying all the presents and, of course, getting lit. While everyone in just about every town spreads their holiday spirit, there's nothing quite like the way Waukesha, WI glows up for the holiday season. After Halloween has passed our beloved Lifeway cow, Gertrude, takes her witch hat off and everyone starts preparing for the for the day after Thanksgiving when she starts to rock her Santa hat. Once Gertrude is in the Christmas spirit, everyone else is ready to deck the halls too! The early December holiday season kicks off with the Waukesha Christmas Parade. Here you'll see the friendly faces of all the community club members, including the high schools' dance teams and band/ color guard. The holiday parade is the place to enjoy and appreciate what different members in our community do. It Is also just a fun time, until it's too cold to feel your toes. While driving late at night to check out all of the Christmas lights, take a drive down Emslie Lane — or just about any neighborhood with light posts outside — to see the lit-up snowmen heads at the end of every driveway. The CP Christmas train is a special gift that costs nothing to see. The train lights up and passes through many cities in the Midwest, including Waukesha, grabbing many people's attention. Once the train has people's attention, it accepts donations of nonperishable food items and more for the food banks across the Midwest.The train is the longest rolling food bank and provides entertainment and help for a good cause. So, when you see a train that looks like the polar express, be sure to consider making a difference and helping your local community. Downtown Waukesha is always filled with Christmas spirit. This time of year, People's Park is where it's at. Once you see the green and red balloons outside the door, you already know they're blasting the Nora Jones Christmas album inside. The artwork on the walls has also changed from the "usual" to snowmen and snowflakes and Santa. The workers themselves are like Santa's little elves, wearing Santa hats as they deliver you the precious gift of their weekend brunch specials. 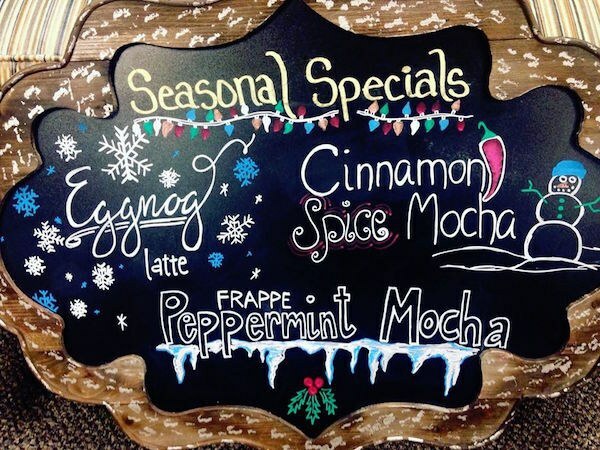 The holiday drinks at The Steaming Cup are back! They're like a dessert, a drink and a work of art with all of their colorful sprinkles, whipped crème and latte designs. While you're enjoying your coffee, take a peek out the window to see the magical horse-and-carriage, or take a ride downtown yourself. When the temperature really starts to drop, Main Street will fill up with ice sculptures sculpted by residents of Waukesha themselves. The sculptures last just as long as Waukesha's winters do, which is a long time so there's no excuse to not see them! Downtown Waukesha is known for its special themed runs and the holiday season has its famous 5k Santa Run. The 5k starts at Taylor's People's Park, takes you down Main Street, Frame Park, and over the Fox River. The run awards prizes for best costume and seasonal theme, so you better believe you'll see just about every one of Santa's elves, reindeer and the big man in the red suit — times 100! While the race is a 5k in the cold Wisconsin weather, which can be rough, it is still a fun time for all ages and an experience of a lifetime. Finally, the biggest holiday tradition Waukesha has is visiting the Country Christmas Light Show, which just so happens to be Wisconsin's largest drive-thru holiday light show. 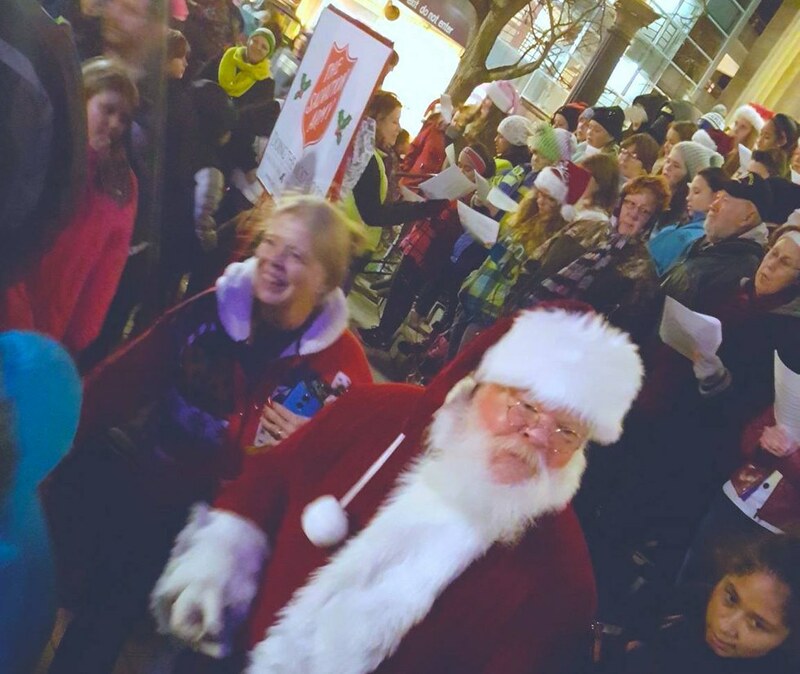 This year will be the 21st year of Country Christmas, proving the holiday season in Waukesha is LIT! (pun extremely intended.) Just to get a feel of what this experience is really like, I'll tell you there are five themed sections including: Christmas village, Country Christmas trail, Streets of Bethlehem, Prairieville, old time Waukesha and, of course, Barevillie, which is a personal favorite (it has hidden bears for your carload to count up throughout your drive — I won’t tell you the number of bears there are, you'll just have to find out for yourself!). At the end of the mile long course, your car will reach a 200-foot-long tunnel of 30,000 lights, and while this may give you an extreme headache or even heart attack, it's something you won't want to miss seeing.